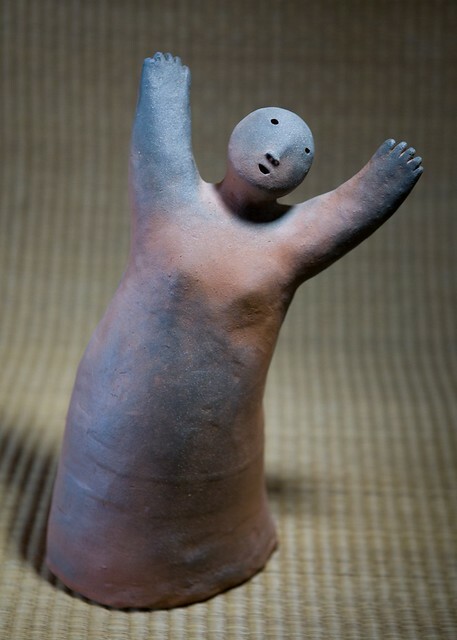 My friend the artist Joy Brown is raffling this “dancing lady” wood-fired ceramic sculpture the proceeds of which are going to tsunami relief in Japan where she grew up. Tickets are $20 and you can send checks to her or, if you’re overseas use paypal to send money. I’m late in posting this notice and I’m sorry about that, the raffle will end on midnight, April 20th. If you can’t make this deadline with mail, use paypal. Good luck and thanks for taking part. I have lots of things I’d like to post on this site but I find pretty much everything including links to images of the devastation in Japan somehow distasteful at this time. What’s going on in Japan is overwhelming to me as I sit here in a warm house in rural Connecticut. In the face of all of this, people in Japan are standing patiently in line for food and water and medical attention even as their houses, villages, and families are gone and there is great uncertainty about their future. Japan may seem like a relatively formal society compared with the United States but that formality coupled with considering the group before the individual is going to help them survive this terrible tragedy and come out whole on the other side. I’m thinking of Japan, a place I’ve been and hope to return to.